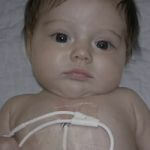 Keira Riley Kilbane was born on Christmas Eve 2010, one month before she was expected to arrive. She was the best Christmas present we ever had and was a blessing from the start. 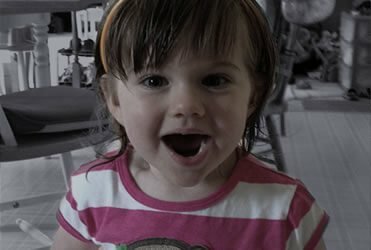 She was a normal happy healthy baby until March 2011 when Keira was originally diagnosed with infant Acute Lymphoblastic Leukemia (ALL) at the age of 3 months. She underwent intensive chemotherapy and was in remission after her first round of treatment. She continued treatment for two years and had extended inpatient hospital stays during this time. In April 2013, she completed her treatment and had eight wonderful months without chemotherapy. 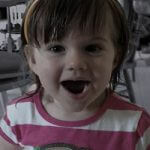 Despite everything she underwent, Keira continued to smile and do the things normal infants/children do. On January 3, 2014, leukemia returned in both her bone marrow and central nervous system. After a difficult battle getting into remission, she received a bone marrow transplant on April 29, 2014. She successfully engrafted her new bone marrow and was 100% her donor’s blood in early July. Then on July 7, 2014, leukemia returned again in Keira’s central nervous system. 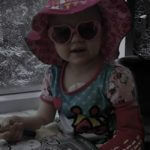 No treatment options were left due to all the chemotherapy she had received over the last 3 years. On July 22, 2014, Keira passed away at the same time she was born (6:12 p.m.). Keira touched the lives of everyone she met or who followed her story. Her strength, courage, positive nature, and love made an impression on all who met her. She has inspired many to persevere with their own medical situations through the example she set. She was known for walking the halls of the hospital unit and saying “Hi”, waving, and blowing kisses to all the staff and patients. She loved Mickey Mouse, Hello Kitty, Jake and the Neverland Pirates, and her little brother Grady. 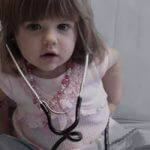 She has challenged the doctors to find a cure and invest in more appropriate treatments for our children. 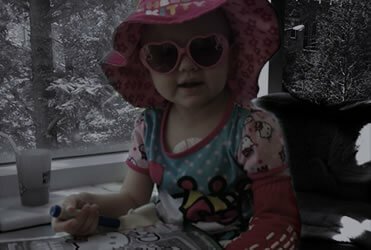 From January – July 2014, Keira’s journey was chronicled through the “My Beaded Rainbow” program at Rainbow Babies & Children’s Hospital on Rainbow 2. 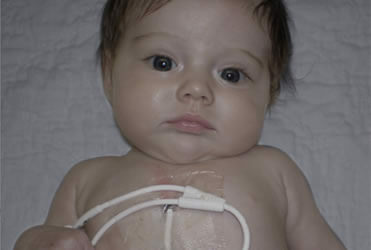 Keira received about 150 beads which represent only major procedures and tests received between 1/2/14 – 7/22/14. Children are resilient. 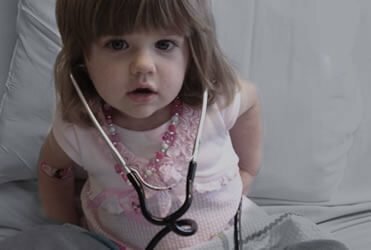 It never ceases to amaze us how you look around the unit at the hospital and see kids playing, laughing, and just being kids despite their medical situations. They have an IV pole attached to them yet are riding a bike, driving a car, or painting in the play room. There is definitely a large need to help support childhood cancer research as it is drastically underfunded and our children are our future and well worth the investment. We have met many families touched by cancer and dealing with the after effects of chemotherapy. Hopefully one day we will find a cure and more appropriate treatments suited towards our children.